Storage Sheds Direct – an online retailer and leading authorized main dealer of Arrow, Duramax and Suncast storage sheds, today announced that it offers FREE SHIPPING on all Suncast Storage Sheds. Suncast specialize in the manufacture of plastic storage sheds or resin storage sheds constructed out of a heavy duty resin. Most Suncast models include a tough resin floor with a high quality finish. 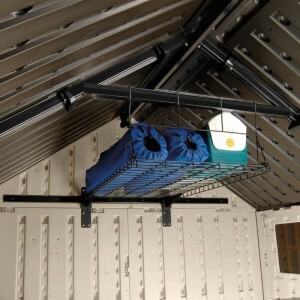 “Our customers love the fact that a Suncast Storage shed is is easy to maintain with no painting required. They often tell us that one of the great benefits of these garden shed kits are the easy to assemble, snap into place design. “ said Paul Gorman – Chief Executive of Storage Sheds Direct. “We are delighted to offer our FREE SHIPPING deal to our US customers on this popular range of products which makes a Suncast Storage shed an even more affordable purchase in the current climate.” continued Gorman. Storage Sheds Direct is based in Delaware , United States and specializes in supplying some of the leading brands of storage sheds in the market such as Arrow Metal storage Sheds, Duramax vinyl Storage sheds, Suncast resin sheds and Rhino Instant Shelters. The company offers a Toll Free Customer service hotline that provides in – depth industry expertise and advice for customers searching for their new shed as well as support and after care post- purchase. The company offers FREE shipping to all states within the contiguous United States. 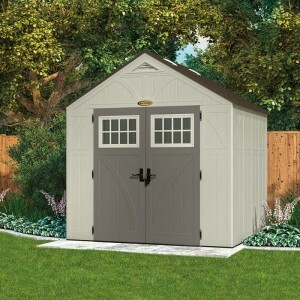 This entry was posted in Press Releases and tagged suncast shed kits, suncast sheds, suncast storage sheds on June 1, 2013 by gorman101.